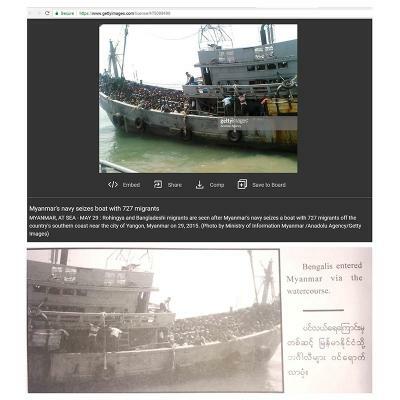 Yangon, Aug 31 (Just News): The grainy black-and-white photo, printed in a new book on the Rohingya crisis authored by Myanmar’s army, shows a man standing over two bodies, wielding a farming tool. “Bengalis killed local ethnics brutally”, reads the caption. On Monday, Facebook banned the army chief and other military officials accused of using the platform to “inflame ethnic and religious tensions”. The same day, UN investigators accused Senior General Min Aung Hlaing of overseeing a campaign with “genocidal intent” and recommended he and other senior officials be prosecuted for crimes against humanity. Attacks by Rohingya militants calling themselves the Arakan Rohingya Salvation Army preceded the military’s crackdown in August 2017 in Rakhine state, in which the UN investigators say 10,000 people may have been killed. The group denies it has separatist aims. 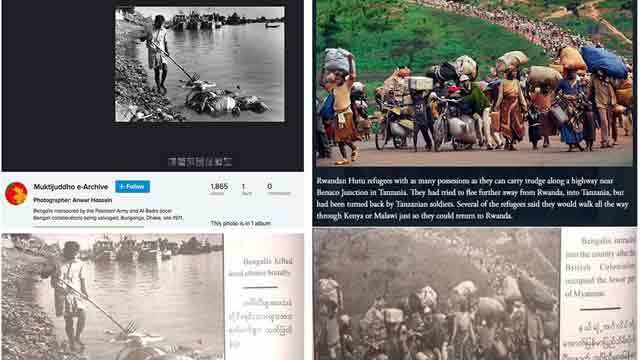 Reuters examined some of the photographs using Google Reverse Image Search and TinEye, tools commonly used by news organisations and others to identify images that have previously appeared online. Checks were then made with the previously credited publishers to establish the origins of those images.